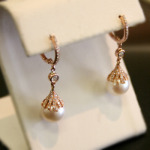 With wedding season in full swing, we can’t help but be fascinated by the beauty of pearls and diamonds. It’s a classic, elegant look that never goes out of style. 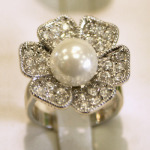 Whether a special occasion or any day of the year, pearls and diamonds are the perfect combination. The trend in pearls is color, which can range from classic white to black to pink or even peacock. Take your pick! 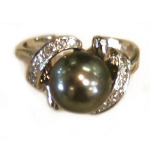 Of course we have pearl and diamond jewelry, but for those on a budget, we do offer jewelry selections with standalone pearls, gorgeous crystals, or even semi-precious stones. Whether it’s your wedding day or you’re part of the celebration — or you just love this look as much as we do any day of the year — stop in for the perfect accent to your ensemble today! Don’t forget to check out our coupons for special offers before you shop!